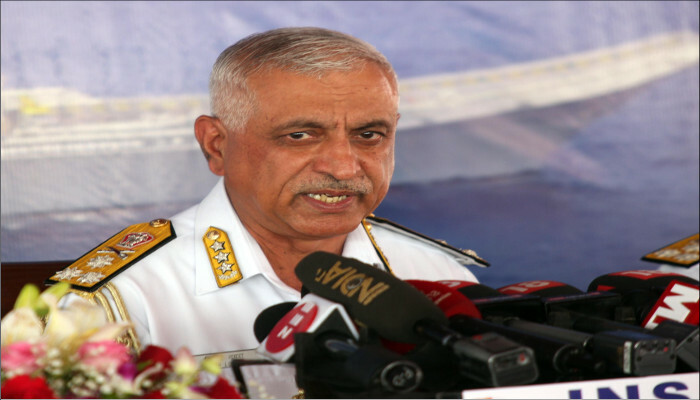 Vice Admiral Girish Luthra, Flag Officer Commanding-in-Chief Western Naval Command addressed media persons at the annual Press Conference of Navy Week 2018 onboard the Western Fleet's stealth destroyer INS Kochi at Mumbai on 03 December 2018. 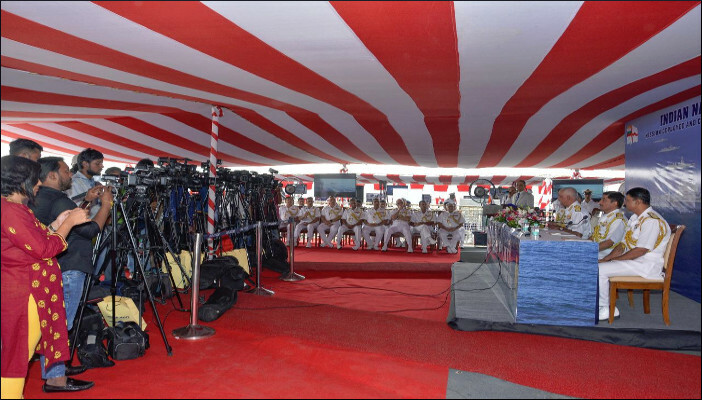 The Commander-in-Chief, in his opening address, apprised the members of the media about the initiatives and milestones achieved by the Western Naval Command over the past year including mission-based deployments, exercises with foreign navies, security, safety, humanitarian aid and disaster relief, environmental consciousness and activities connected with the Golden Jubilee of the Western Naval Command. 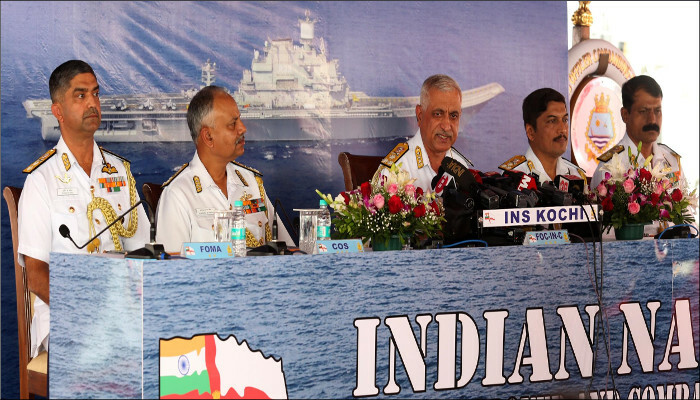 Fielding a diverse range of questions from the media, Vice Admiral Luthra clarified queries on coastal security, submarines, future projects, use of artificial intelligence, cyber security, the future of the erstwhile aircraft carrier INS Viraat and women in the Navy, among others. 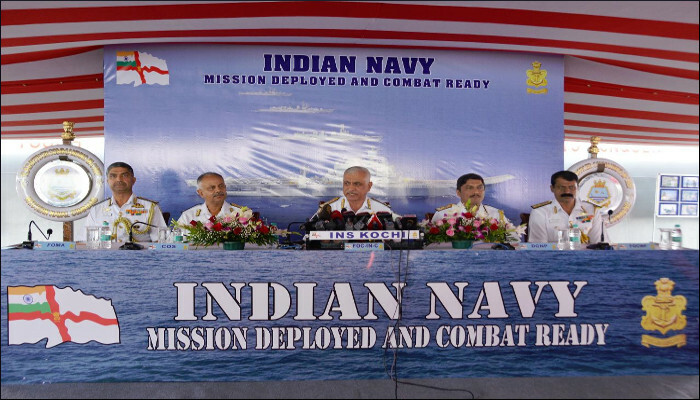 The Indian Navy celebrates Navy Day on 04 December every year, the date on which during the 1971 Indo-Pak conflict, naval ships, armed to the teeth, stealthily maneuvered off Karachi, and unleashed a lethal missile attack that left the port ablaze and destroyed several enemy warships.